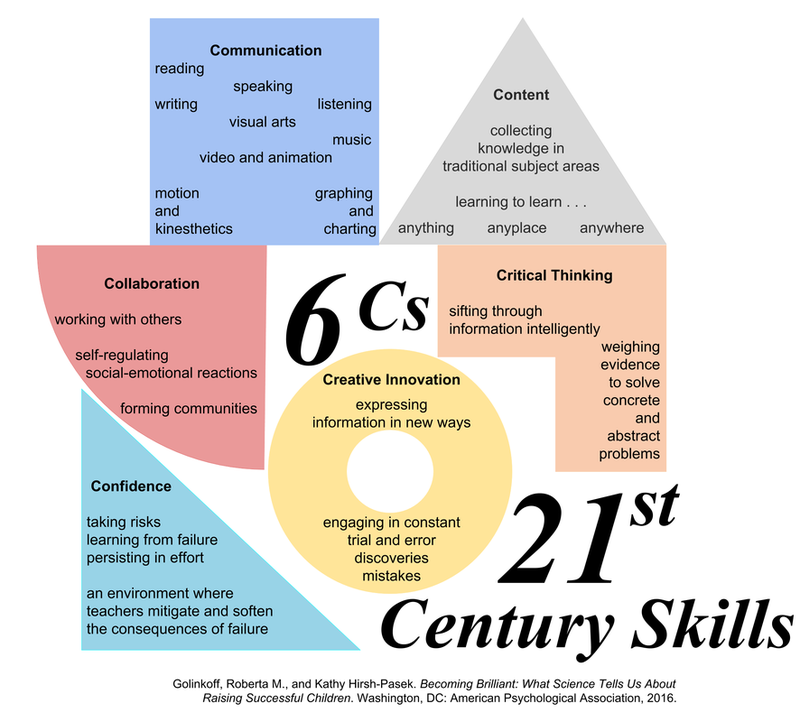 Cognitive science professors Dr. Roberta Michnick Golinkoff and Dr. Kathy Hirsh-Pasek offer a framework, "the 6Cs"—collaboration, communication, content, critical thinking, creativity, and confidence--the "key skills that will help all children become the thinkers and entrepreneurs of tomorrow." ​The weekly project-based experiences are structured around learning experiences addressing each of the 6Cs. SPARK students will reflect on the 6Cs and their present skill levels in their early meetings in September 2016. Later self-assessments in the winter and spring will be compared to those initial assessments to serve as the foundation for teacher assessments to share with families. Each week we will share puzzles, dilemmas, mysteries, issues, short stories and ask students to direct their active mind to focus on the object or experience at hand to get the most out of it--collaboration, communication, content, critical thinking, creative innovation, and confidence. Standard 1: Interact with others to explore ideas and concepts, communicate meaning, and develop logical interpretations through collaborative conversations; build upon the ideas of others to clearly express one’s own views while respecting diverse perspectives. 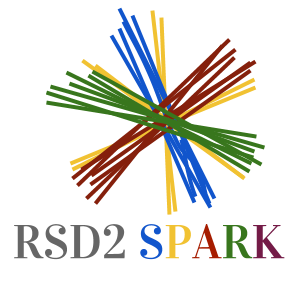 1.2 Participate in discussions; ask and respond to questions to acquire information concerning a topic, text, or issue. 1.3 Apply techniques of articulation, adequate volume, eye contact, facial expressions, posture, gestures, and space; take one’s own turn in a respectful way. 1.4 Engage in focused conversations about grade appropriate topics and texts; build on the ideas of others, pose specific questions, respond to clarify thinking, and express new thoughts. 1.5 Explain personal ideas and build on the ideas of others by responding and relating to comments made in multiple exchanges. Word Roots, Analogies, and Idioms for talent development in vocabulary fluency and analysis. The purpose of the Jumpstart activity is to provide students the motivation to engage in growing vocabulary through wordplay and analogies encouraging quick association and fluency with roots, prefixes, and suffixes. Standard 10: Apply a range of strategies to determine and deepen the meaning of known, unknown, and multiple-meaning words, phrases, and jargon; acquire and use general academic and domain-specific vocabulary. 10.2 Determine the meaning of an unknown word using knowledge of base words and Greek and Latin affixes. ​Jacob’s Ladder Literature Connection for talent development for literature analysis and response. The purpose of the Jacob’s Ladder reading comprehension program designed by Dr. Joyce VanTassel-Baska is for students to use targeted readings from short stories, poetry, and nonfiction sources to engage in an inquiry process to move from lower to higher-order thinking skills. 5.1 Ask and answer inferential questions to analyze meaning beyond the text; refer to details and examples within a text to support inferences and conclusions. Standard 6: Summarize key details and ideas to support analysis of thematic development. 6.1 Determine the development of a theme within a text; summarize using key details. 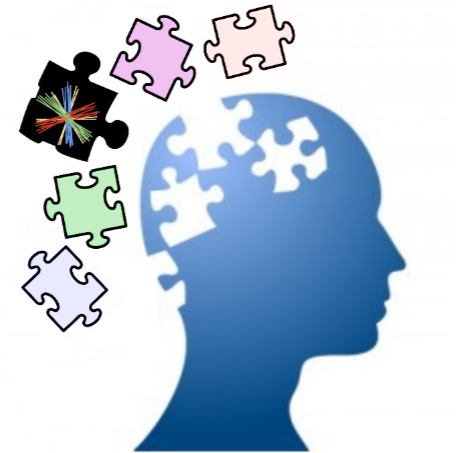 Standard 7: Analyze the relationship among ideas, themes, or topics in multiple media, formats, and in visual, auditory, and kinesthetic modalities. 7.1 Explore similarities and differences among textual, dramatic, visual, or oral presentations. 7.2 Compare and contrast the treatment of similar themes, topics, and patterns of events in texts and diverse media. Standard 8: Analyze characters, settings, events, and ideas as they develop and interact within a particular context. b. explain the influence of cultural, historical, and social context on characters, setting, and plot development. Standard 9: Interpret and analyze the author’s use of words, phrases, and conventions, and how their relationships shape meaning and tone in print and multimedia texts. 9.1 Identify and explain how the author uses imagery, hyperbole, adages, or proverbs to shape meaning and tone. 9.2 Explain how the author’s choice of words, illustrations, and conventions combine to create mood, contribute to meaning, and emphasize aspects of a character or setting. 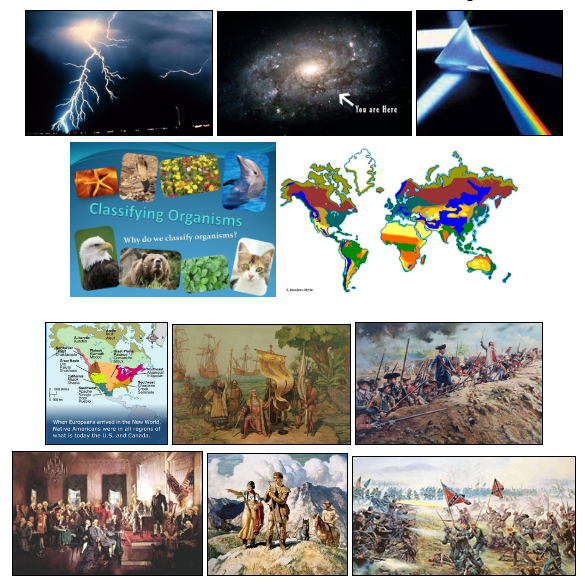 Use digital tools to create study aids and presentations in 4th grade science and social studies. Brainstorm, discuss, and organize topics for short inquiry assignments to exercise skills in research while moving forward in 4th grade subject areas. Standard 1: Formulate relevant, self-generated questions based on interests and/or needs that can be investigated. 1.1 Formulate questions to focus thinking on an idea to narrow and direct further inquiry. Standard 2: Transact with texts to formulate questions, propose explanations, and consider alternative views and multiple perspectives. 2.1 Explore topics of interest to formulate logical questions; build knowledge; generate possible explanations; consider alternative views. 3.1 Develop a plan of action for collecting relevant information from primary and secondary sources. 3.2 Organize and categorize important information; collaborate to validate or revise thinking; report relevant findings. 4.1 Draw logical conclusions from relationships and patterns discovered during the inquiry process. 4.2 Reflect on findings to build deeper understanding and determine next steps. 4.3 Determine appropriate tools and develop plan to communicate findings and/or take informed action. Standard 5: Reflect throughout the inquiry process to assess metacognition, broaden understanding, and guide actions, both individually and collaboratively. 5.1 Acknowledge and value individual and collective thinking. 5.2 Employ past learning to monitor and assess current learning to guide inquiry. 5.3 Assess the process and determine strategies to revise the plan and apply learning for future inquiry. Students use productivity tools to collaborate in constructing technology –enhanced models, prepare publications, and produce other creative works. Students use telecommunications to collaborate, publish and interact with peers, experts and other audiences. Tang, Greg, and Paprocki, Greg. Math-terpieces: The Art of Problem-Solving. New York: Scholastic, 2003. Tang, Greg, and Briggs, Harry. The Grapes of Math: Mind-Stretching Math Riddles. New York: Scholastic, 2001.
a. Relate a problem to prior knowledge. b. Recognize there may be multiple entry points to a problem and more than one path to a solution. c. Analyze what is given, what is not given, what is being asked, and what strategies are needed, and make an initial attempt to solve a problem. d. Evaluate the success of an approach to solve a problem and refine it if necessary. 2. Reason both contextually and abstractly. a. Make sense of quantities and their relationships in mathematical and real-world situations. b. Describe a given situation using multiple mathematical representations. c. Translate among multiple mathematical representations and compare the meanings each representation conveys about the situation. d. Connect the meaning of mathematical operations to the context of a given situation. 3. Use critical thinking skills to justify mathematical reasoning and critique the reasoning of others. a. Construct and justify a solution to a problem. b. Compare and discuss the validity of various reasoning strategies. c. Make conjectures and explore their validity. d. Reflect on and provide thoughtful responses to the reasoning of others. 4. Connect mathematical ideas and real-world situations through modeling. a. Identify relevant quantities and develop a model to describe their relationships. b. Interpret mathematical models in the context of the situation. c. Make assumptions and estimates to simplify complicated situations. d. Evaluate the reasonableness of a model and refine if necessary. 5. Use a variety of mathematical tools effectively and strategically. a. Select and use appropriate tools when solving a mathematical problem. b. Use technological tools and other external mathematical resources to explore and deepen understanding of concepts. 6. Communicate mathematically and approach mathematical situations with precision. a. Express numerical answers with the degree of precision appropriate for the context of a situation. b. Represent numbers in an appropriate form according to the context of the situation. c. Use appropriate and precise mathematical language. d. Use appropriate units, scales, and labels. 7. Identify and utilize structure and patterns. a. Recognize complex mathematical objects as being composed of more than one simple object. b. Recognize mathematical repetition in order to make generalizations. c. Look for structures to interpret meaning and develop solution strategies. Education And Business." Forbes. Forbes Magazine, 2 Aug. 2016.